To read my first post on how to figure out polyrhythms, click here. Here is a written-out variation on how you can practice a scalar passage 5:4. Your first step (not shown here) could be to play repeated sixteenths (here, it would be repeated F’s) and accent every 5th one. The first line shows how groups of 5 sixteenths fit into a 5/4 bar. The second line fills in the ties with moving sixteenths. 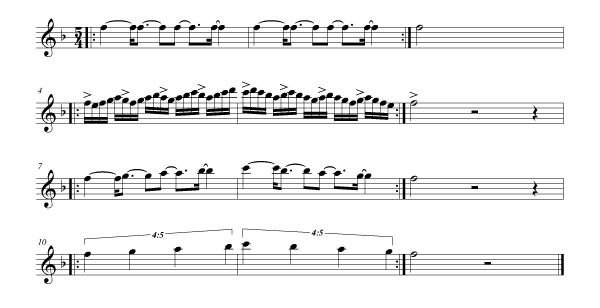 The third and fourth lines are played the same but notated differently. It’s good to practice both. When you have an even number against 3, I find it easy to feel or visualize the second half of the second beat. It serves as a goal-post, or check-point. Here is an exercise similar to that above, but with 4:3. Remember, your first step (not shown here) could be to play repeated sixteenth F’s and accent every 3rd one. Here are some further exercises with even numbers against 3. If it helps, focus on the back of the second beat. 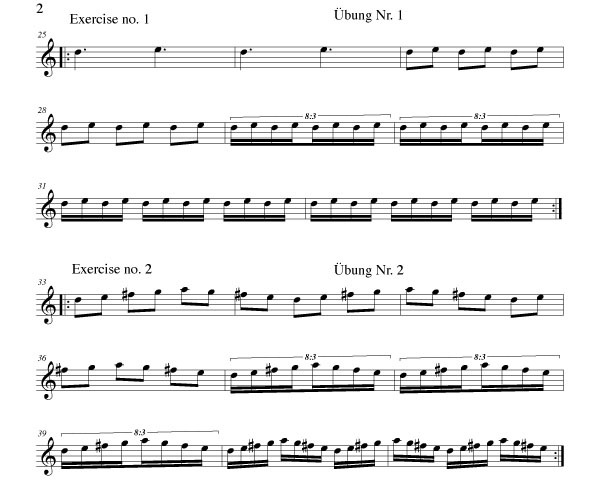 In the next post, I will take the scale patterns from Taffanel/Gaubert and fit them into a polyrhythmic pattern. 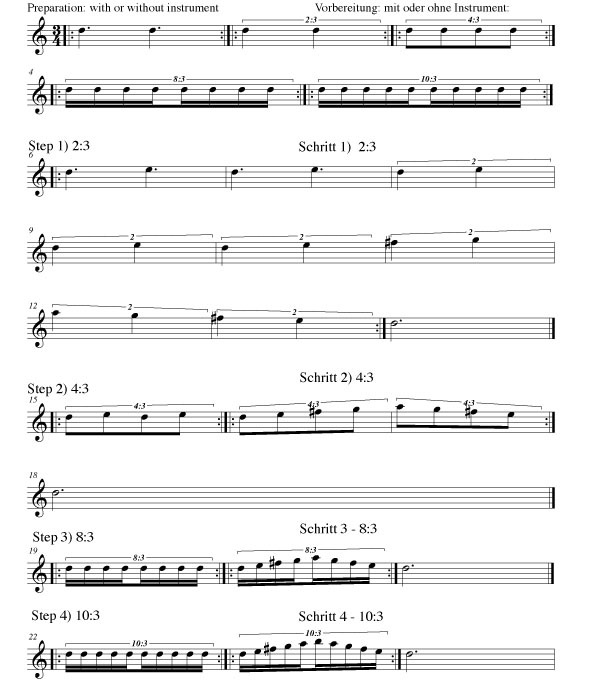 This entry was posted in contemporary music, rhythm by admin. Bookmark the permalink.